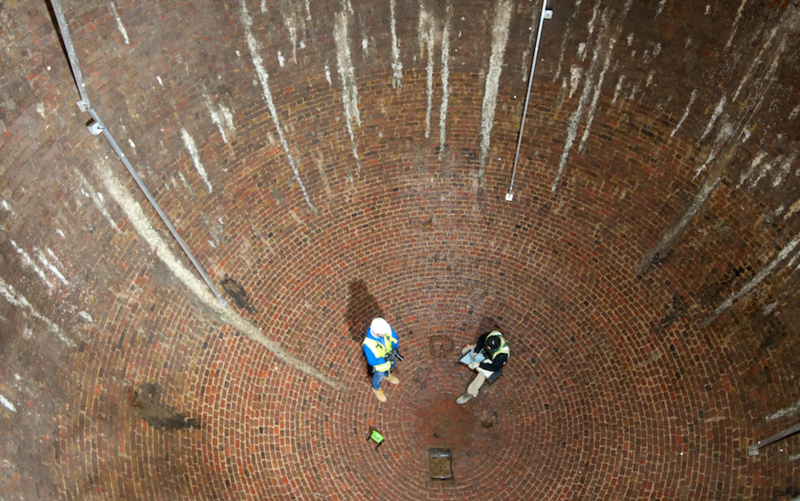 A mighty underground chamber — lost for decades — has been rediscovered near Regent's Park. 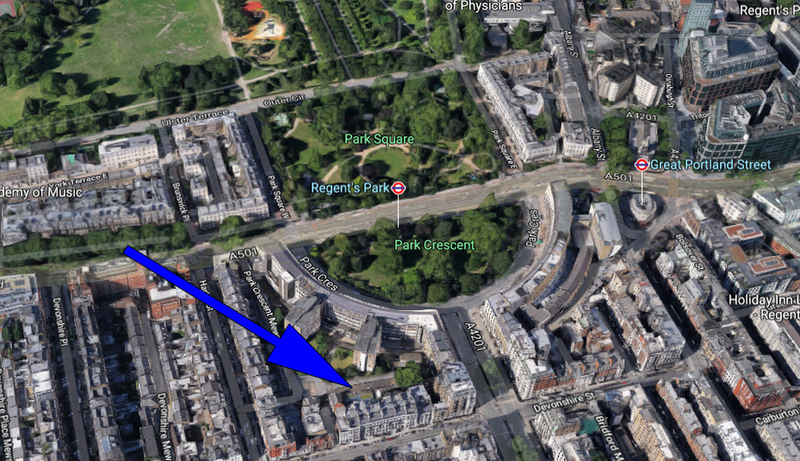 The egg-shaped void was uncovered behind a property development on Regent's Crescent. The map below shows the location. The ice well was built in the 1780s; part of one of Georgian London's most unusual business ventures. In the days before refrigeration technology, the only way to get ice was to wait for the winter freeze. Chunks of ice were carved from lakes and canals, and stored in the pit for future consumption. This particular ice house was one of the earliest and largest built in London. It is almost 10 metres deep, and resonates to the sound of passing Bakerloo trains. Its heyday came in the 1820s, when Fleet Street confectioner William Leftwich had the wheeze of importing ice from Norway. The crystal clear ice from Norwegian lakes was of much higher quality than London canal water, and could be harvested at any time. 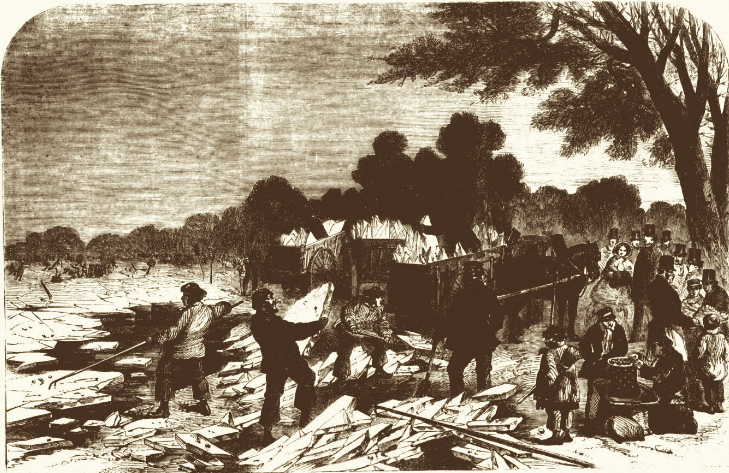 Leftwich's shipments typically brought 300 tonnes of ice to London. The Regent's Canal carried the frigid cargo to the north of Regent's Park, from where it was transported by horse wagon to the waiting ice house. In the cool, sealed-off location, the ice could remain frozen for long periods of time. It was sold off to caterers, and possibly to medical institutions on nearby Harley Street. Leftwich made a tidy profit, and soon opened an even larger ice house to the north-east of the park (since destroyed). Clean Norwegian ice remained expensive, and the trade in the home-grown alternative continued for many years. 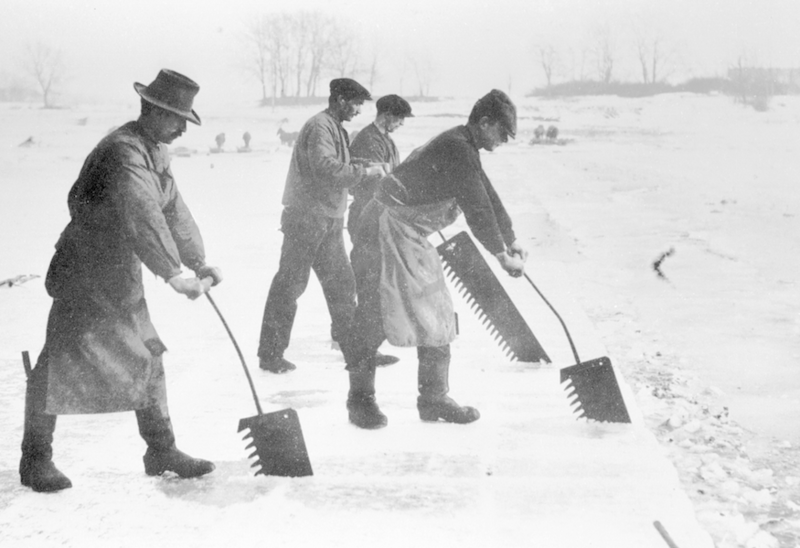 Here we see men cutting ice from the Serpentine in 1857. (c) The British Library Board. From the Illustrated Time, 21 February 1857, British Newspaper Archive. Ice imports had become increasingly unprofitable by the early 20th century. With the advent of refrigeration technology the old ice house fell redundant. Sadly, the Georgian terraces above were flattened in the second world war, but this subterranean chamber survived intact. It was filled with Blitz rubble and eventually covered over when the terrace was rebuilt. For decades, it lay forgotten. Image by author, who was way too chicken to abseil down. The lost wonder was rediscovered by MOLA archaeologists in 2015. The rubble has now been cleared out, revealing a cavernous, brick-lined space with an impressive echo. 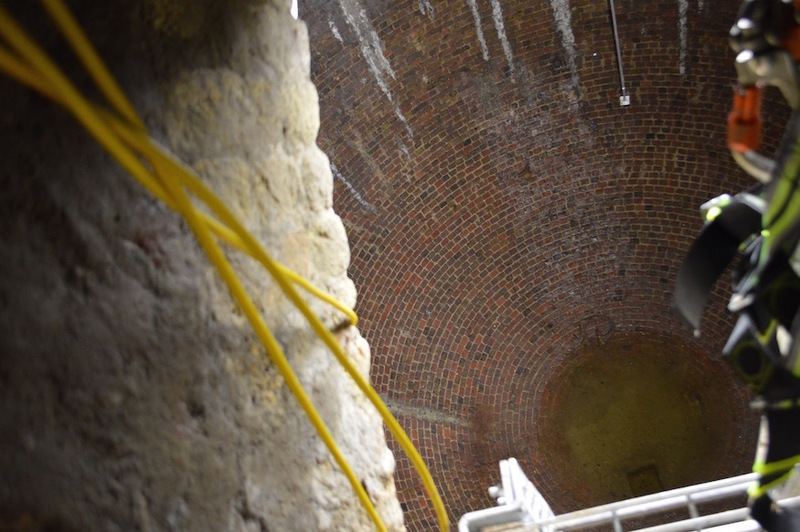 It recalls the fabulous curves and arches of Joseph Bazalgette's sewer system, yet predates it by 80 years. 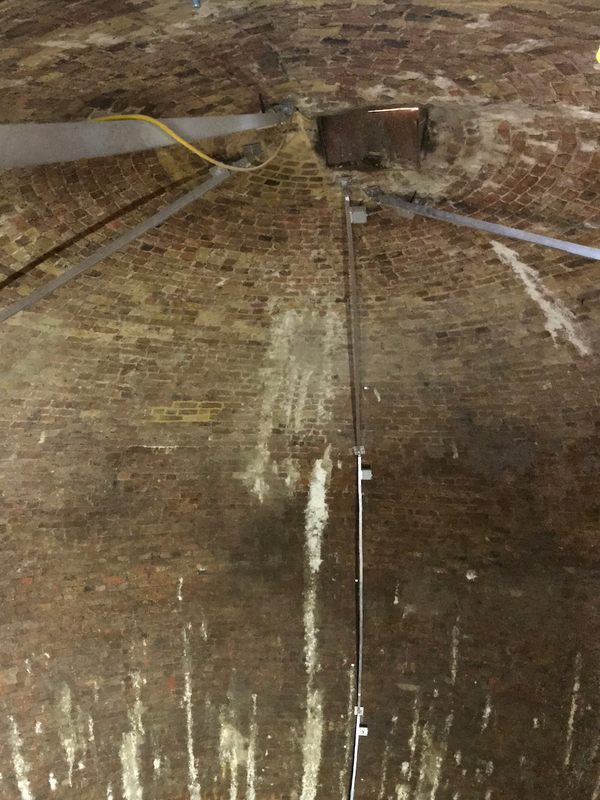 The ice house currently sits inside one of central London's largest and most controversial construction sites. The 1960s replica of John Nash's Georgian crescent has been demolished. A £500 million replacement, said to be more faithful to the Nash original, is under construction. The development, from Great Marlborough Estates, will comprise luxury flats and mews houses. The ice house will remain hidden away, in the gardens of private properties for the extremely well-heeled. But there's an olive branch to those of us who enjoy exploring subterranean spaces. Historic England has listed the ice house as a scheduled monument, recognising its rarity and extraordinary preservation. With its encouragement, the structure will be made available 'at certain times of year' during archaeological and architectural festivals. If you ever get the chance, go take a peek at this rediscovered treasure. With thanks to MOLA and Great Marlborough Estates for granting access.